In one of my earlier articles, I had covered one of the basic questions that comes to mind when thinking of moving to the Cloud – how secure is cloud storage? And I figured out despite the myths surrounding it, the cloud is as secure as any online service can be. However, there are always malicious entities on the lookout for attacking a vulnerability. One can minimise such a situation, by employing some cloud based security solutions. In this article, I’ll be covering the reasons to choose Cloud based security for your firm and the top cloud security solutions. Cloud-based security has better tracking and monitoring of attacks than non-cloud based security solutions. They provide real-time firewall and signature updates blocking harmful traffic. Provides 24*7 security and live monitoring of the website by encryption and tech support. Apart from the application and network scanning Cloud-based security solutions also boost the performance of your website speed by enabling CDN. Now, that we’ve seen the benefits of cloud based security, let’s see the top 5 cloud security solutions. Established in the year 1985, Sophos is a Security Company that provides cloud solutions like encryption, firewall, mobile and web security, etc. Its cloud based console is known as Sophos Central. 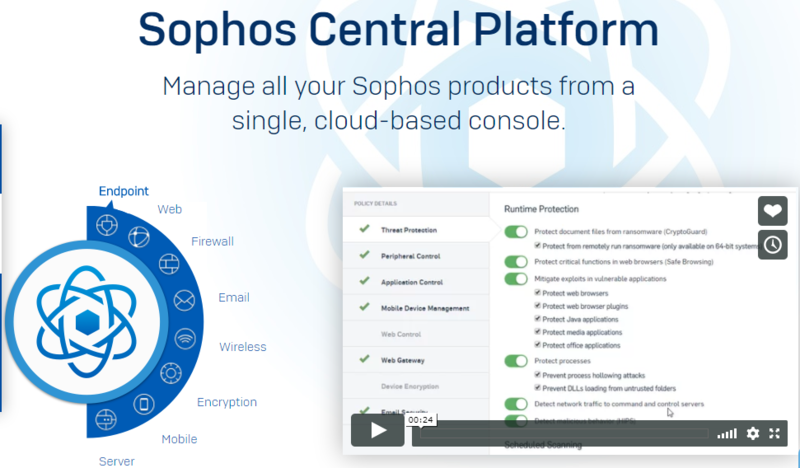 Sophos Central provides runtime protection against attacks like ransomware, preventing external DLLs to load, mitigating exploits in the web, java applications, plugins etc. Provides security solutions like web, email, wireless, mobiles, encryption, web servers etc. Established in the year 2008, SiteLock secures over 12+ million websites all across the globe. It is a cloud based security solution that protects websites from malware and other cyber threats. SiteLock offers website protection by scanning vulnerabilities, detecting and eliminating malware, backdoors, and against attacks like DDoS, SQLi & XSS. It also offers static & dynamic caching, global CDN (Content Delivery Network) and load balancing thereby, accelerating and improving website performance. Established in the year 2002, Proofpoint is another leading cloud based security solution providing protection against various cybersecurity threats. It is a security and compliance company offering cloud based encryption support and solution. Proofpoint offers SaaS, email, social, attacks from email attachments and mobile solution from targeted cyber threats. 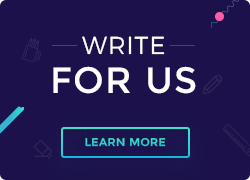 It protects sensitive business data through cloud email security, providing solutions to small business and digital brands. Established in the year 1999, Qualys is another secure cloud solutions provider that offers security to your web and device apps, compliance and related services. It enables data protection by identifying compromised assets and securing them. Qualys offers end-to-end solutions like Cloud Infrastructure Security, Web App security, compliance, Endpoint security, DevSecOps etc keeping your teams in sync with each other. Offers security and reliability across public and private clouds, Vulnerability Management, Threat Protection, File Integrity Monitoring, etc. Established in the year 2010, CipherCloud is another popular cloud based security company across the three cloud models – IaaS, PaaS and SaaS. It helps in protecting your data by monitoring and analyzing it. CipherCloud offers services across various sectors like government, telecommunication, pharmaceutical firms etc. It protects popular cloud applications like Google Drive, OneDrive, Dropbox, Office 365 etc. Some of the services CipherCloud offers are preventing data loss, cloud encryption gateway, cloud computing and related security, tokenization etc. The following 5 were my picks for the top cloud based security solutions. Different Cloud security solutions have different features and pricing. When choosing a security solution, figure out your needs and then choose the one that is best for you. Take care that the solution you choose provides you adequate support and monitoring. Also, if you’re a new startup who is yet to figure out which cloud security solution to invest in, one basic protection can be choosing the right cloud hosting. As right hosting can go a long way in providing you additional security from hackers.